1. 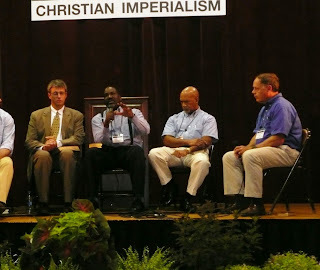 My main purpose for going to the USA was to preach at a missions conference. This is one feature of the American church that we here in Zambia should emulate. 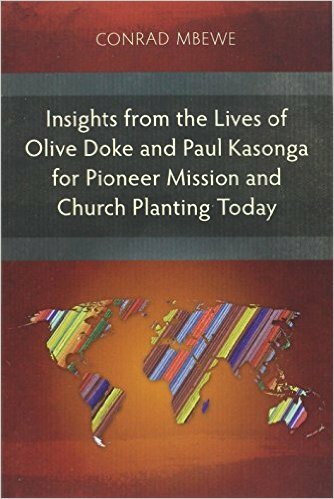 Missions conferences are powerful tools in the hands of God to remind us as Christians of “the unfinished task” and to challenge us about our personal involvement in it. The more I am invited to preach at such conferences, the more I realize how important such conferences are for the furtherance of the gospel. I am glad that this year we started having such annual conferences at KBC. I tremble with excitement at the thought of what this will mean to the progress of the gospel in Zambia, across Africa and, indeed, in the rest of the world in the years to come. May God use our missions conference to heighten a sense of our obligation towards this all important task! 2. I am often amazed at something that God has put in the American psych, which the rest of the world largely lacks. Perhaps I can call it a love for adventure, or maybe a daringness. In this case, I am thinking about the American church’s use of the internet for the advance of the kingdom. At the missions conference, for instance, it was announced that within an hour after each day’s meeting was over, the messages would be uploaded on the internet for the whole world to be able to listen in. At another church I visited, I was taught and encouraged to use “blogging” as a form of ministry to my own congregation – and beyond. It was a welcome addition to my regular writing ministry. I just need to learn how to best use this new “space”. I think that we terribly under-utilise the internet for the gospel. We need to emulate the American psych and dare, like the Star Trek Enterprise spaceship, to go “where no man has gone before” with the gospel! 3. I visited the USA just prior to yet another presidential election, with the two candidates doing their best to show that they were the best bet for the White House. 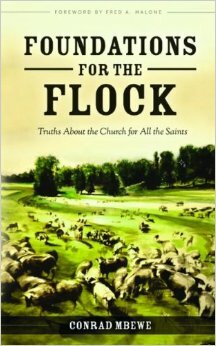 It was interesting to notice the many “issue based” discussions among Christians. Although there were a few racial overtones, what was particularly evident was that many Christians chose their preferred candidate based on the candidate’s stand concerning important ethical issues (e.g. abortion). I came away from the USA convinced that the nation has found itself choosing between the rock and a hard place. There is no doubt that Christians in the US will be trying to figure out who is a lesser evil to vote for. We must pray for them at such a difficult time as this. 4. The American church is a very generous church. You can’t take that away from them. Sadly, much of their generosity has been abused by the African church. The brethren in the USA asked me again and again how they can help us to the further the cause of Christ – and especially the Reformed Faith – in Zambia. I am convinced that, in the light of this, we need to be even more committed to matters of integrity and accountability. Like Paul, we must do what is right not only in the eyes of God but also in the eyes of men (2 Corinthians 8). I also think that we must continue to urge ourselves to more financial commitment to the work of the gospel. We must never allow a situation where the American dollar is doing all the work in Zambia while the Zambian kwacha is only going towards building our own paneled houses and buying our fancy latest cars. If others want to strengthen our hands in the work of the gospel, let us be seen to be doing the same ourselves! 5. My visit to Long Island reminded me, perhaps too painfully, of 2003 at Kabwata Baptist Church when our own eldership disintegrated. One lady said to me while on Long Island, “Our church had its day of glory. Our pastor had a great ministry, not only here but elsewhere. We heard some of the finest preachers on the planet. He brought them to preach to us. We were growing and bursting at the seams. Then, it was as if the Lord allowed Satan to destroy all that. 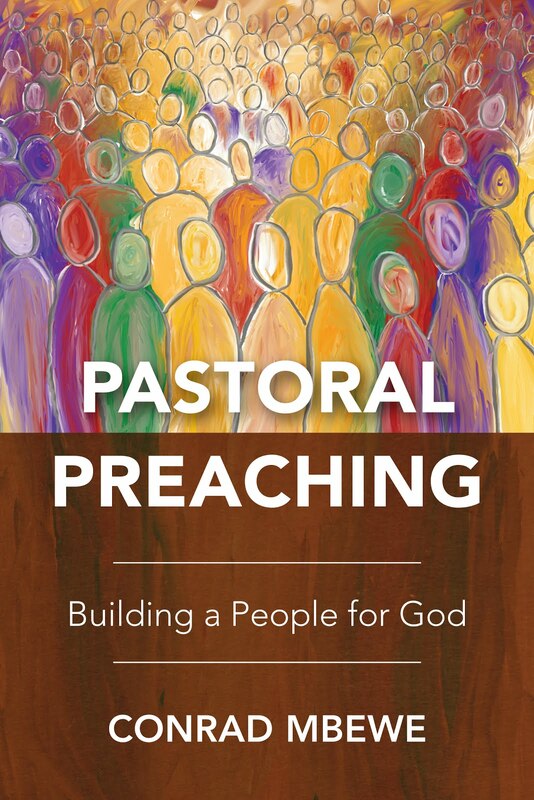 Perhaps we were guilty of idolizing our pastor too much. Perhaps we had become too comfortable with our success.” What a lesson! We must never take our glory days for granted. Let us continue to pray for God’s grace, especially upon our church leaders. Let us pray that God will watch over their sinful hearts and truly make them and keep them holy and focused upon himself and the work he has given to them. Let us pray that our own days of glory may continue for many more years and even grow beyond our wildest expectation. Let us pray for souls, souls, souls to be truly converted to Christ and built up in their most holy faith. And so, to prayer…! After my visit to the YMCA in Nashville I flew to Raleigh Durham on Tuesday 22nd July, where I spent a day with my sister, Mwaba Barcelos. She lost her husband some ten years ago and moved to the USA in order to be able to financially support her two sons through school. 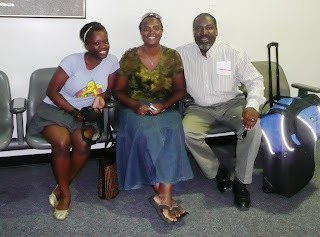 The older one is now doing tertiary education in the USA, while the younger one is still with us in Zambia. It was a real joy to see her! Apart from a one hour meeting we once had when I was changing flights in Charlotte, I have not seen her since she moved to the USA. She invited her pastor and a friend for supper. From the conversation we had I could tell that she is in good hands. Also present was a niece, Tisa Chigaga, who is pursuing medical studies in the UK. Our parting after a day together was not as painful as was the case when we had our brief one hour together at the Charlotte airport (see photo below). On Wednesday, 23rd July, I flew to New York where I preached my last US sermon at the Grace Reformed Baptist Church of Long Island. If ever a church has gone through difficult times in the last ten years, this one has definitely had its fare share. I first preached in this church in 1996. Then I returned in 2001, and so this was my third visit. Each time I have been there, they have had different pastors, having lost previous ones through very stressful circumstances. Inevitably, with every trial they have also lost some members. 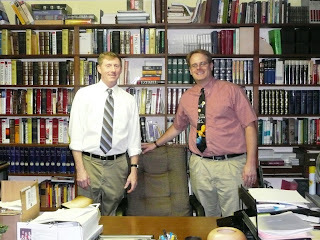 The church is presently being pastored by Doug Totter and Marc Grimaldi (see photo below). The attendance at the meeting was certainly higher than I expected. I opted to preach on the question that opens Romans 6, “What shall we say then? Shall we continue in sin that grace may abound?” (NKJV). I showed both the reason why this question was asked (the eternal security of the believer explained in chapter 5) and the Apostle Paul’s answer to this question (the believer’s personal holiness secured by our union with Christ). I emphasized the need to hold both these truths. With this last sermon preached, I flew back to Zambia the following day. Saturday saw me travelling, per kind favour of a young couple in the Church of the Good Shepherd, from Bloomington (Indiana) to Louisville (Kentucky). It was a wonderful journey, getting to know Lucas and Hannah. They took me to the home of James Williamson, who most people in Reformed circles on the Copperbelt will appreciate for his commitment to starting and administering the Copperbelt Ministerial College from the USA. 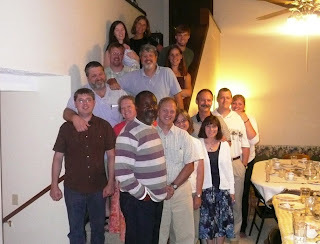 We spent the afternoon and evening together talking about the work of the Lord in Zambia. There is no doubt that his heart is in "the real Africa"! Sunday was spent at the Reformed Baptist Church in Louisville. It was great meeting with Jim Savastio again, after his last visit to KBC and to our home! During Sunday School, I presented a powerpoint on the Reformed Baptist movement in Zambia. Thank God for technology! Then in the morning service and evening services I preached on the two images used by the psalmist in Psalm 1 - "he is like a tree" and "they are like chaff". All the three messages are available on sermon audio for you to download and listen. I can only pray that the Lord used this to encourage his people and to challenge the lost to come to him. One of the highlights of my visit to the church in Louisville was meeting some of the volunteers who had come out to Zambia to help with the work of Action Zambia, and who made KBC their home church while they were in the country (see picture below). Monday was a rather unique day. 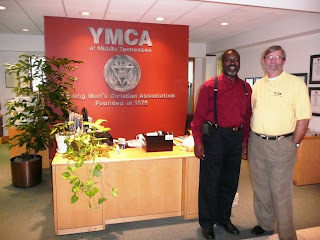 I was picked up by Keith Coss of the YMCA of Nashville Middle Tennessee and brought to Nashville where I was taken around three facilities of the YMCA - the Ronald Reagan and the Rutherford centres, and the Joe G Davis campsite. Keith made a mistake of leaving me briefly in LifeWay Christian bookstore, which is next to the YMCA offices, and I almost emptied the shop (well, that is a bit of an exaggeration!). For those who may not know, as part of my community involvement, I have been involved in the Zambia YMCA for over ten years. This came about almost incidentally because Kabwata Baptist Church is the nearest neighbour to the YMCA premises in Lusaka. However, as soon as I noticed just how many young people made use of the YMCA facilities, my involvement took on new meaning and became another form of investment into the lives of the many young people in my community. Well, by a string of strange providences, I was chosen to be president of the Zambia YMCA last year in October. So, I decided to visit the YMCA in the USA whose representatives had come to Zambia last May - and what a joyful reunion it was! We had a round table discussion with the leaders (see picture below) and, I trust, this will soon result in a partnership that will improve the lives of many young people in Zambia! The journey continues and so..."watch this space"! One week has gone since I came to the USA, and my first stop was the main reason why I came; namely, the missions conference in Owensboro (Kentucky). Visit the website to download the sermons in mp3 format. It was a glorious event, with over 300 registered attendees. Ted Christman and Sam Waldron are two of the four pastors in the church that organises this conference. It was a joy to meet them and experience fellowship with them, face to face. The other preachers challenged my heart with respect to the work of missions, especially the need to sacrifice for this work. How can I be the same after this? 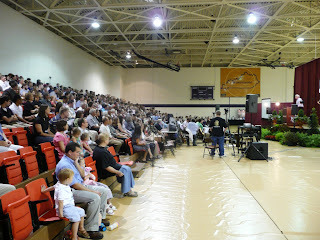 I trust that the Lord also used me in a small way to impact the lives of those who were in attendance. After the missions conference was over, on Thursday 17 July, I went to Bloomington (Indiana) where I was welcomed most warmly by the Church of the Good Shepherd. It was a great time of fellowship that I spent with the pastors, deacons and their wives on the first evening (see picture). We spent most of the evening discussing missions. They have a number of men they are training and should soon be sending them out for church planting. 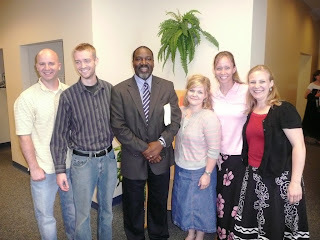 So, I shared with them something of our experience in missions in the last ten years. The senior pastor, Tim Bayly, has written about this evening on his blog. 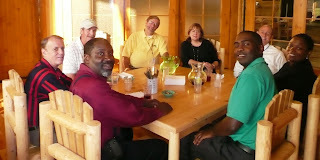 The following day, the elders took me to one of the church members, who enabled me to set up this "blog". It is a totally new experience but it should enable me to keep in touch with all of you - especially in my travels. I also hope, when I am not travelling, to use the site to deal with some of the pastoral issues that often challenge us as Zambian Christians. So, here is yet another instrument of edification. Praise the Lord! This is Conrad joining the cyberspace blogging world. I will soon be posting info on this site. I hope we can keep in touch - often!